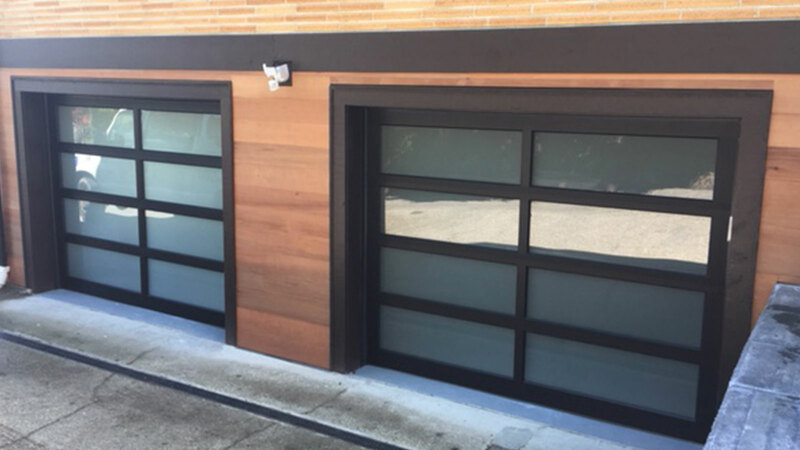 Take a look at some of Sound Door’s garage door installation projects including aluminum, steel and wood styles. 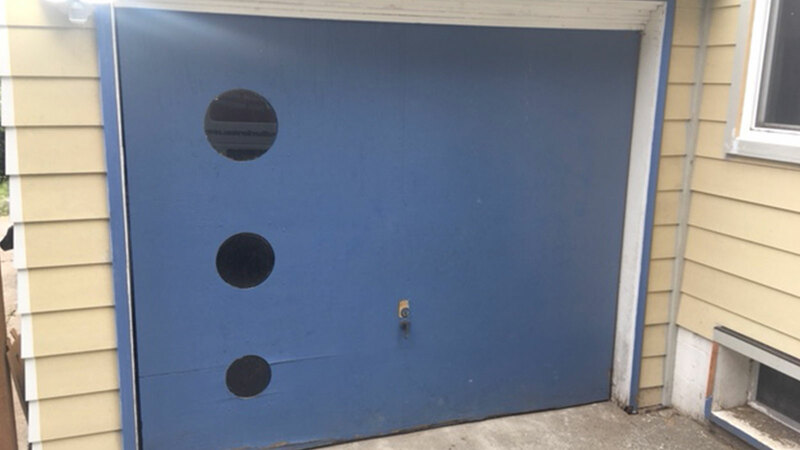 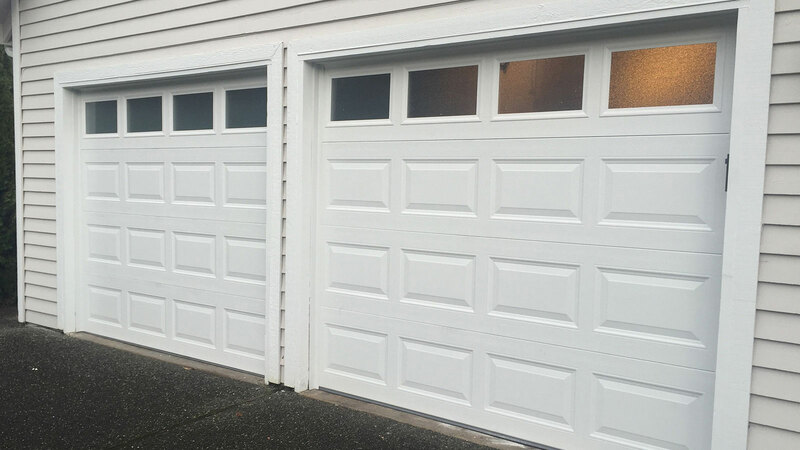 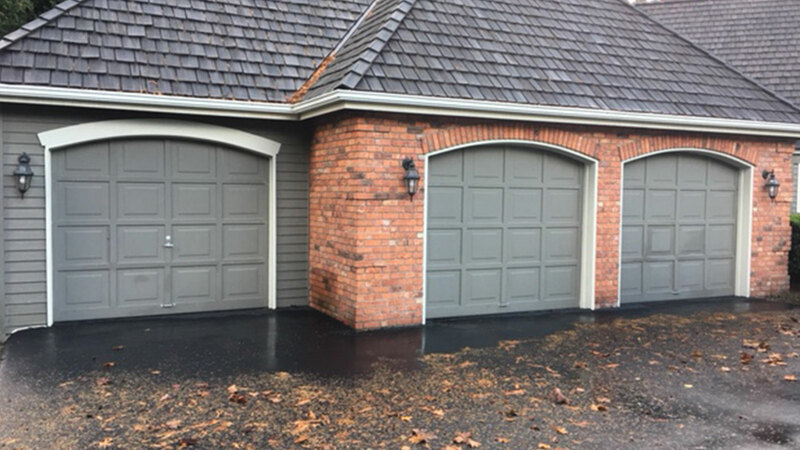 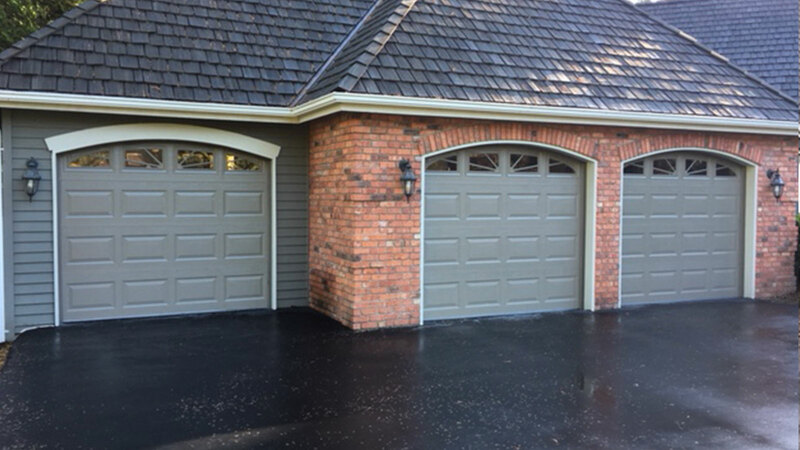 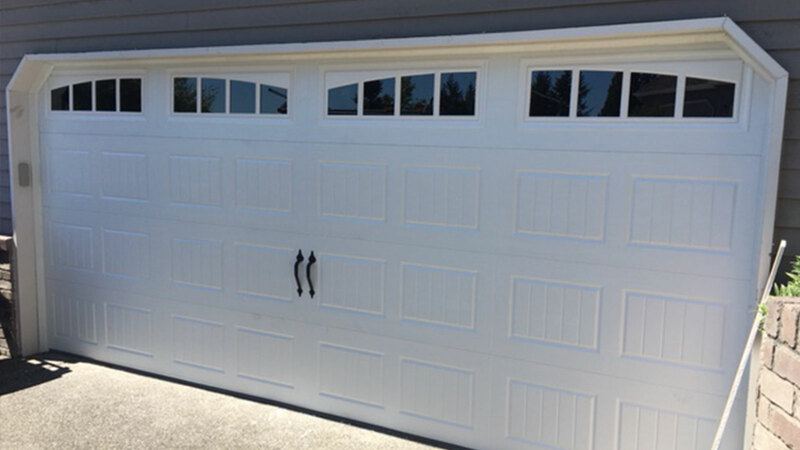 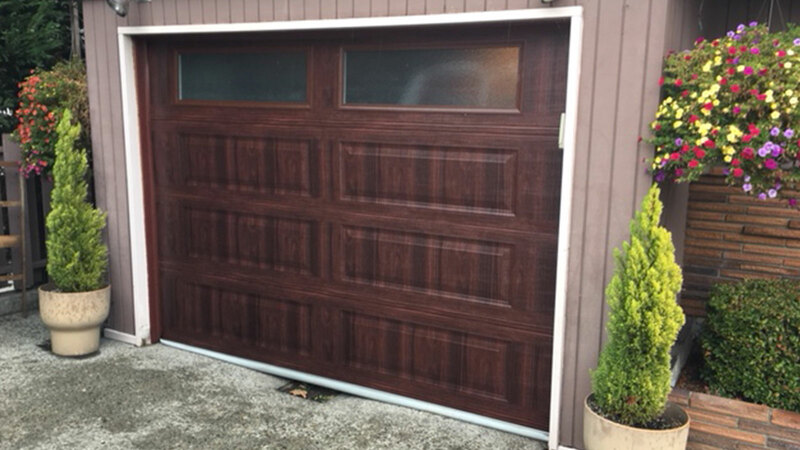 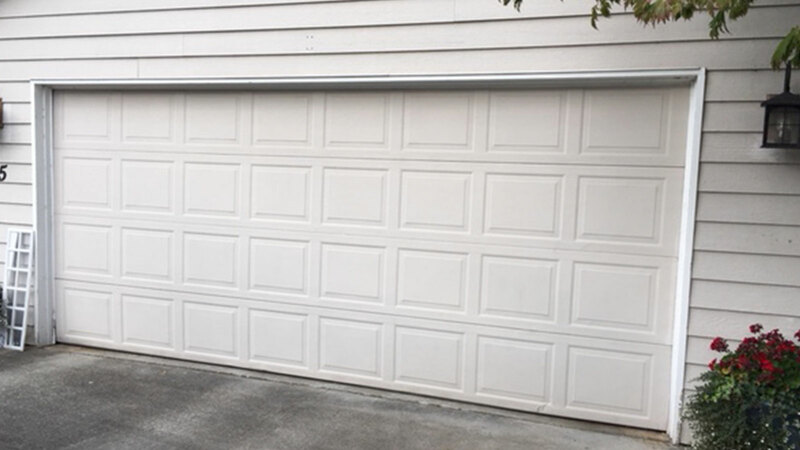 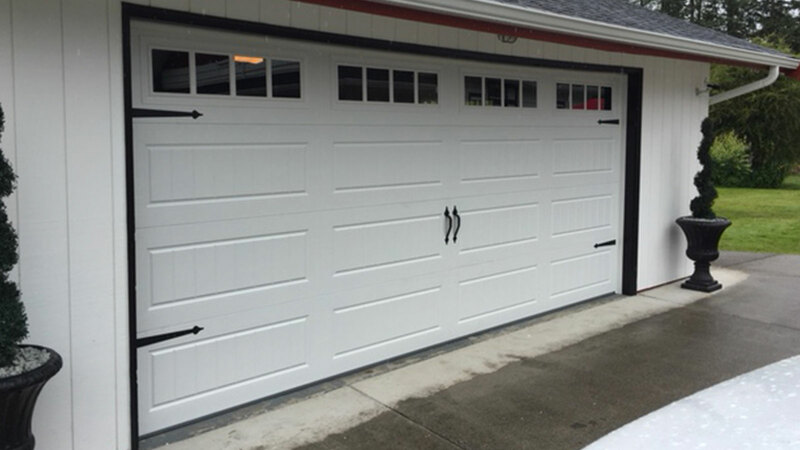 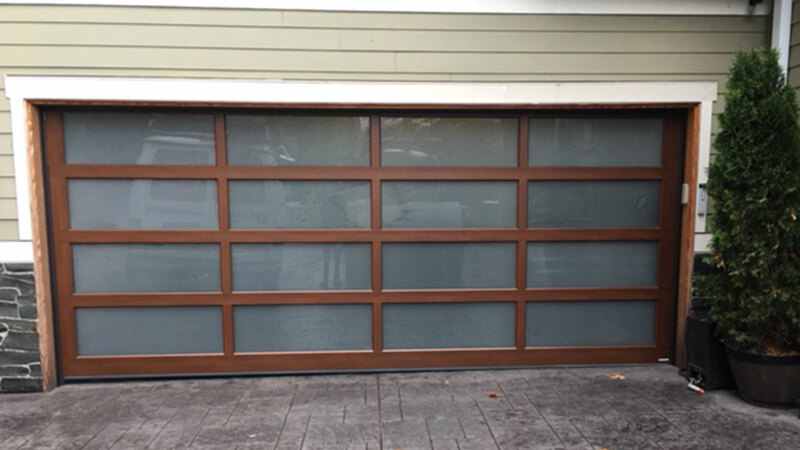 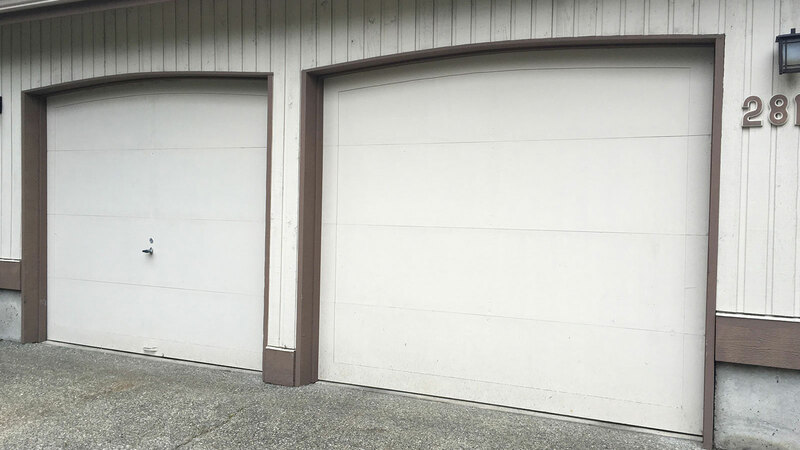 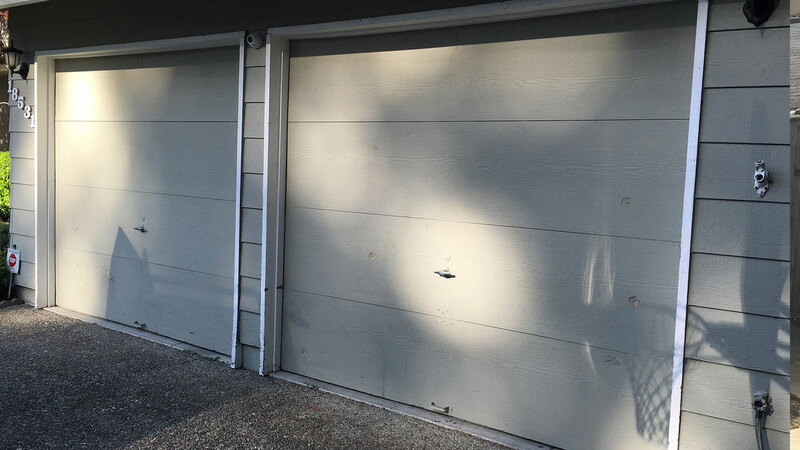 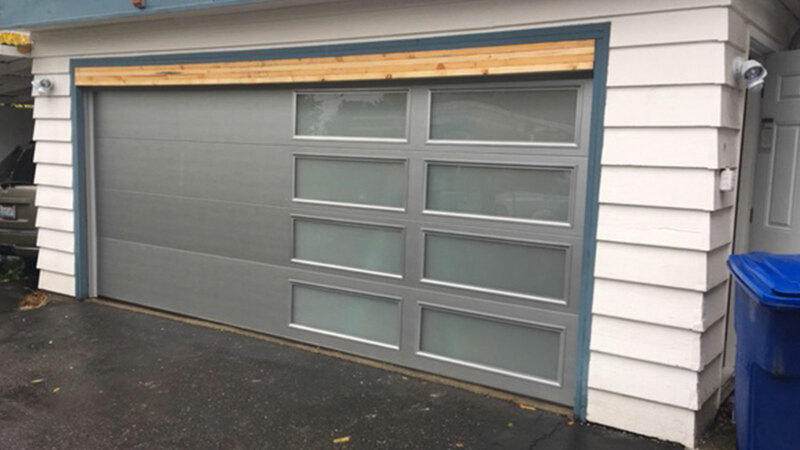 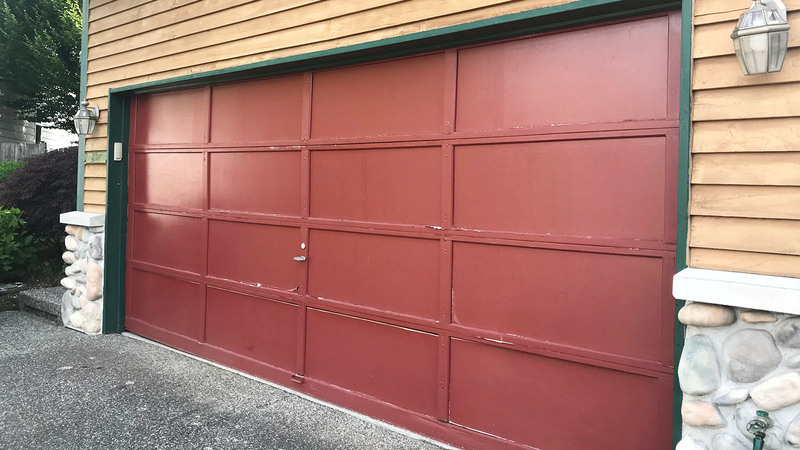 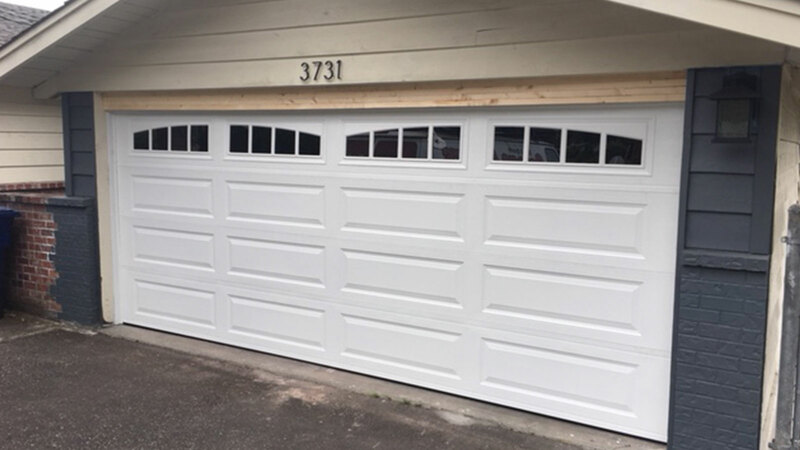 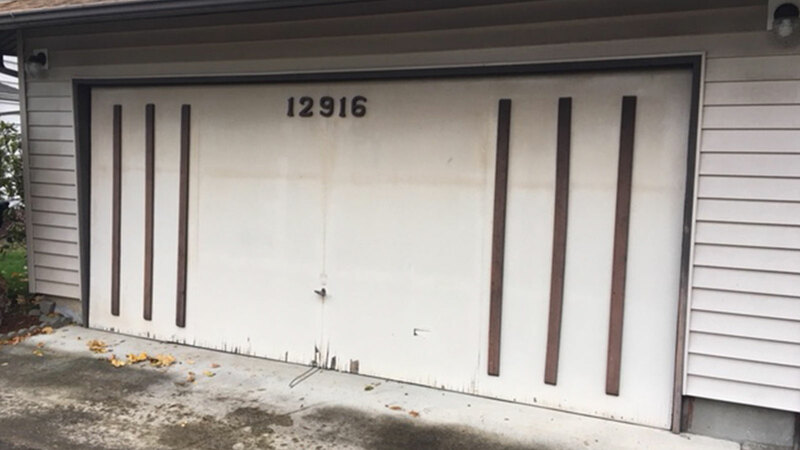 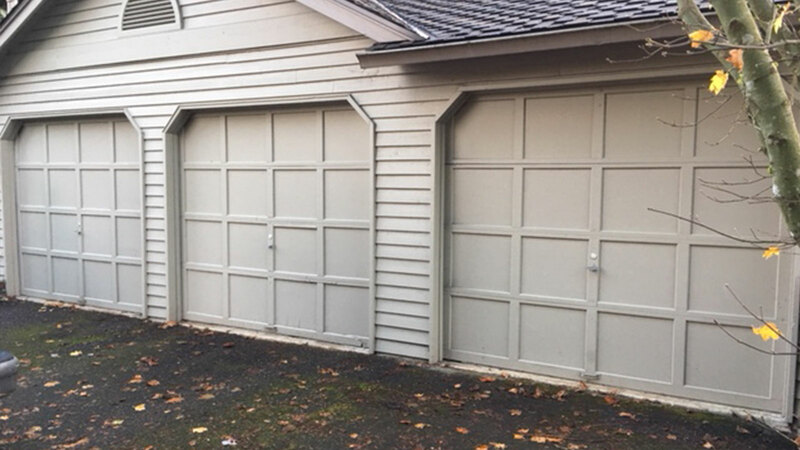 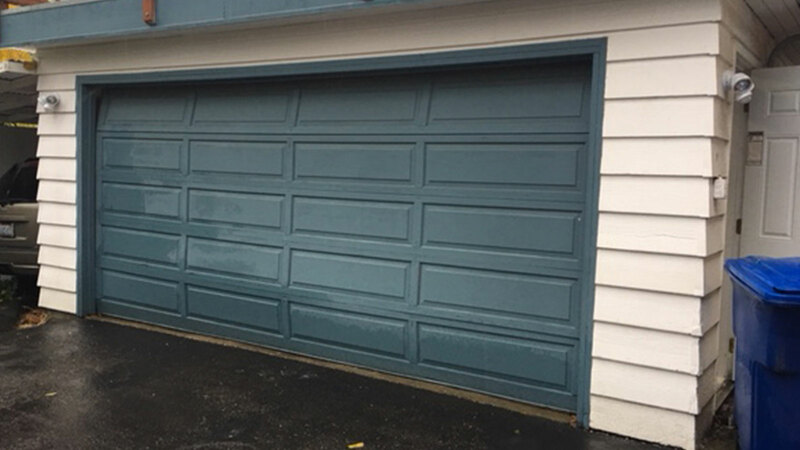 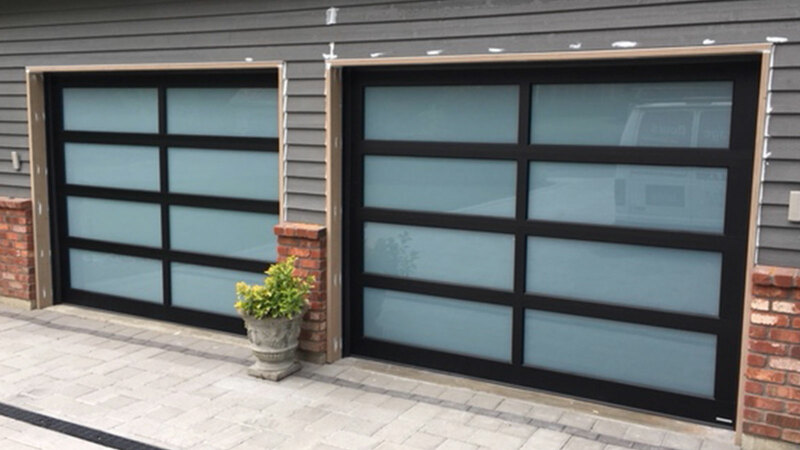 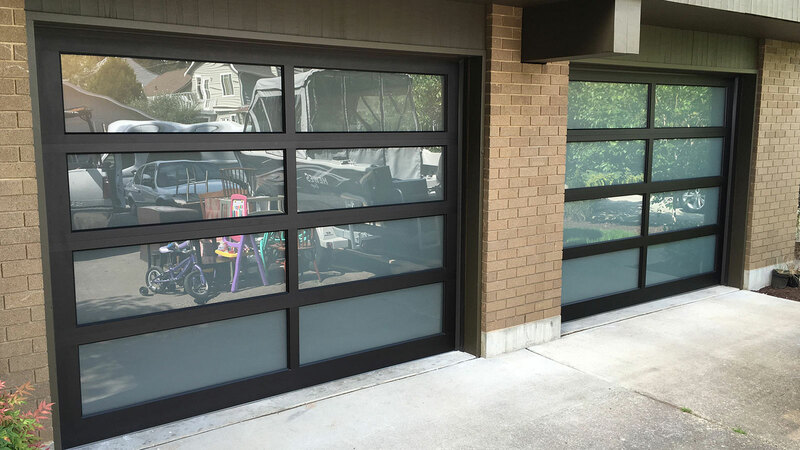 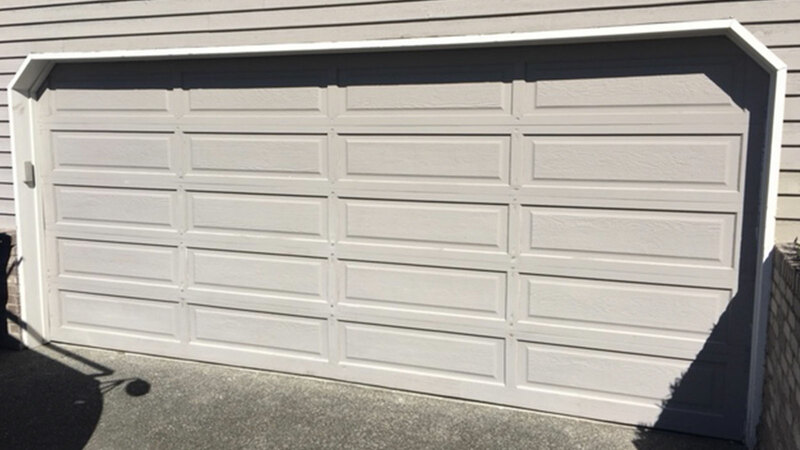 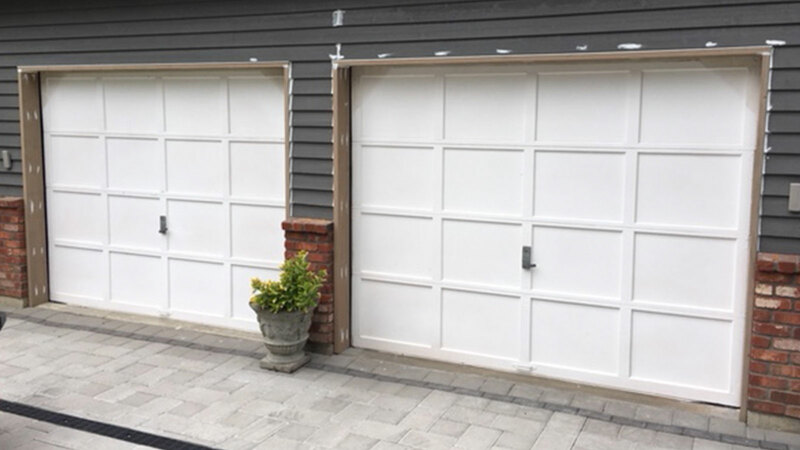 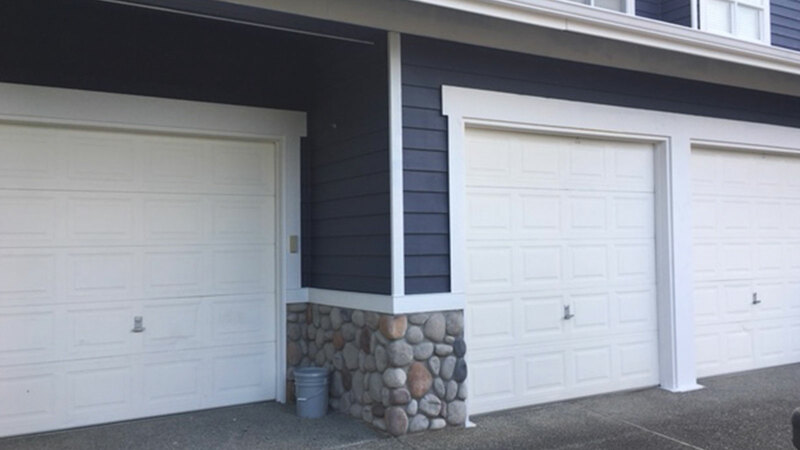 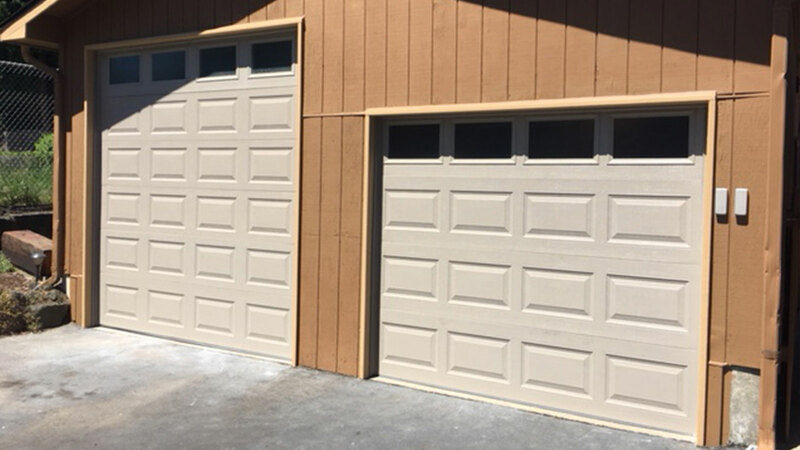 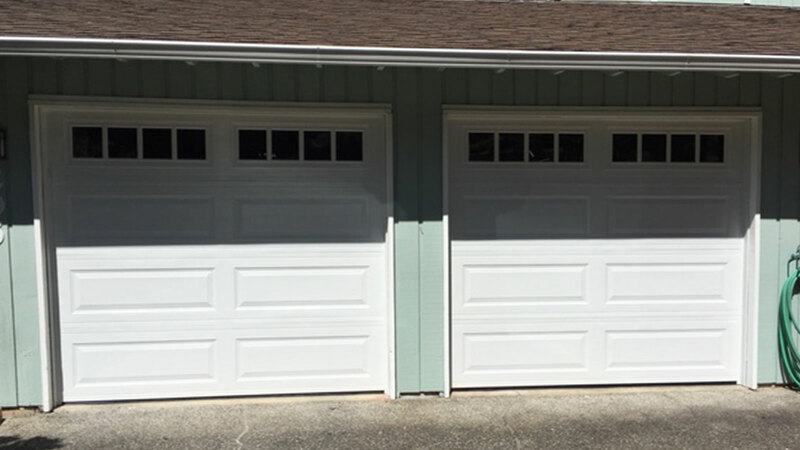 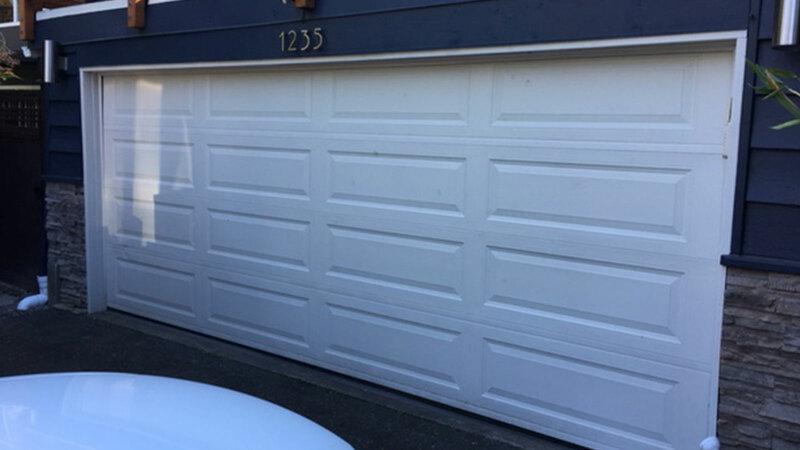 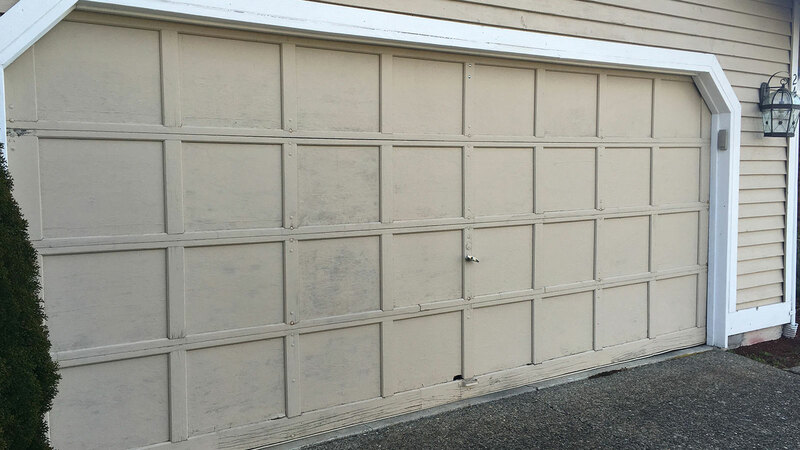 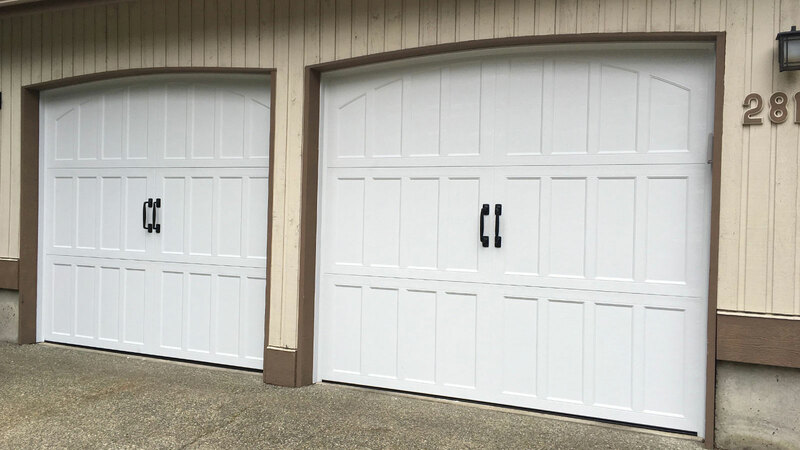 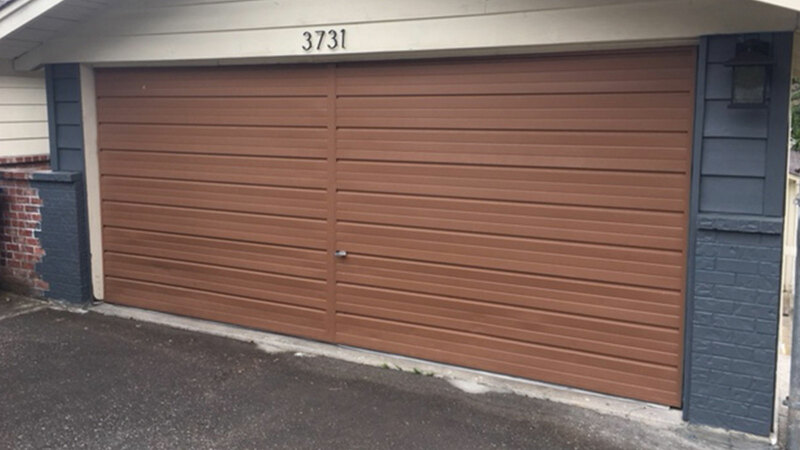 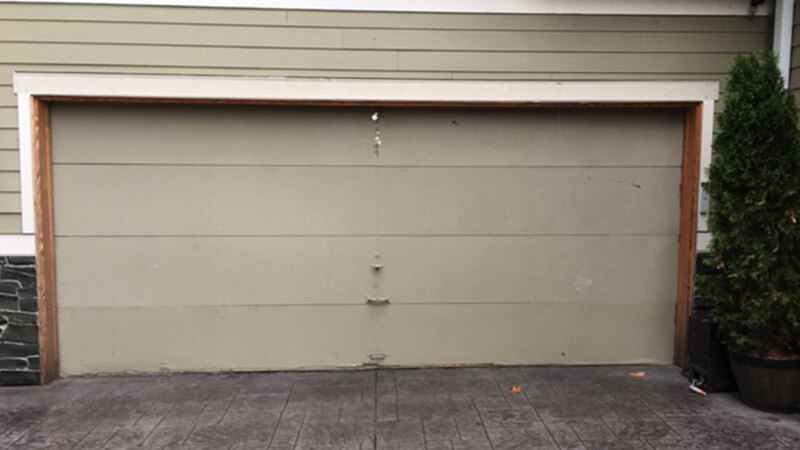 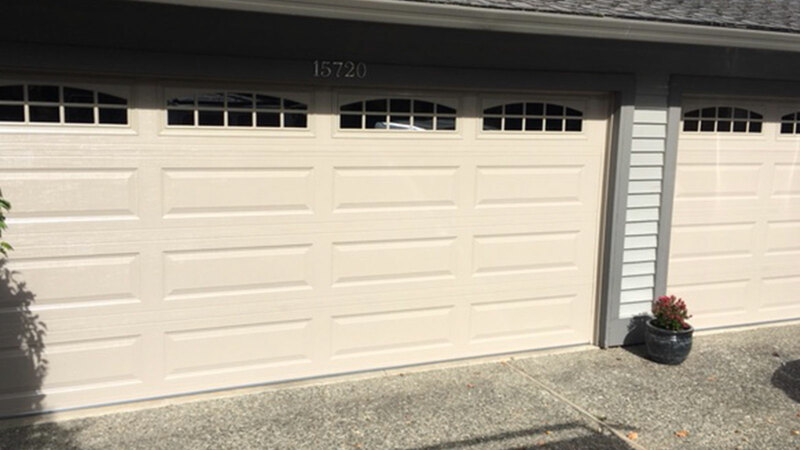 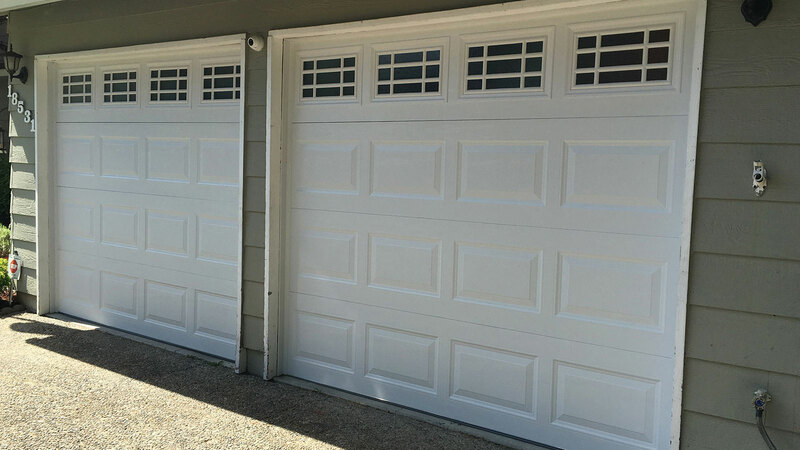 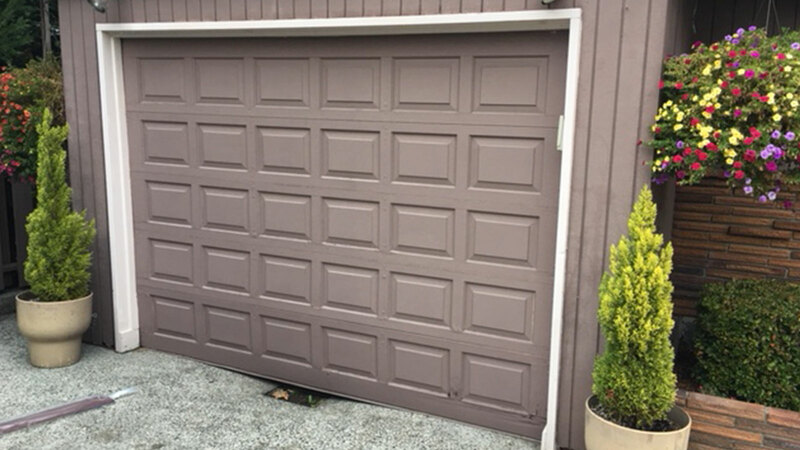 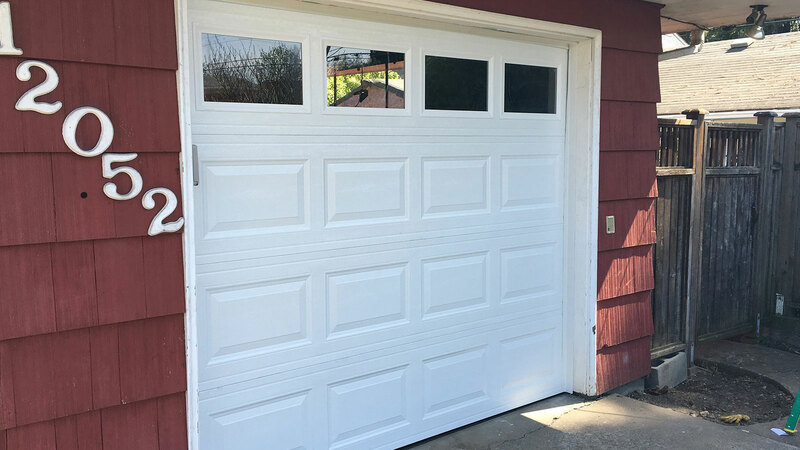 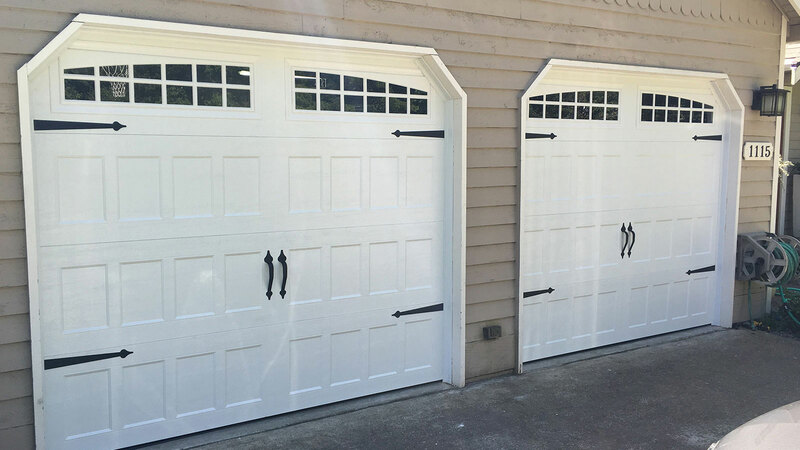 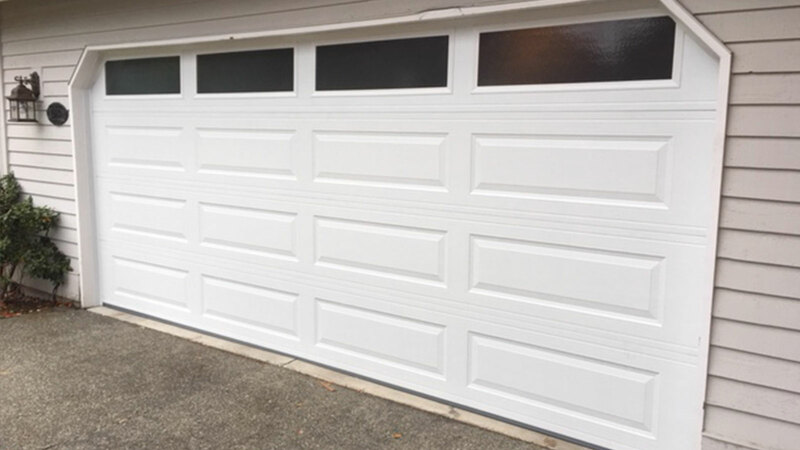 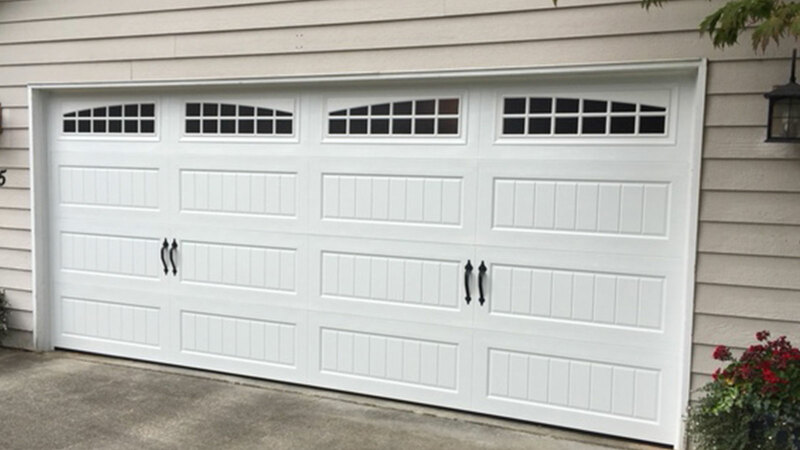 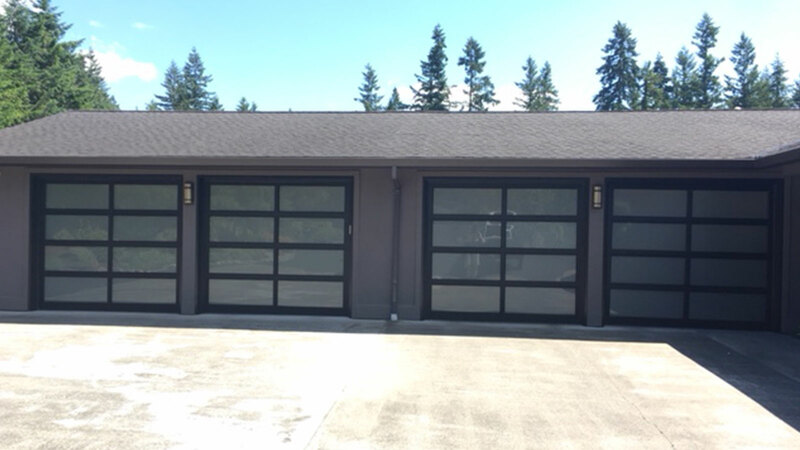 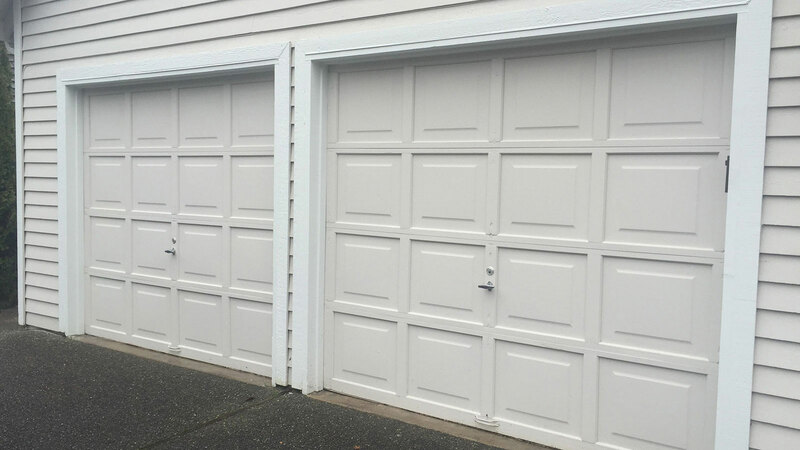 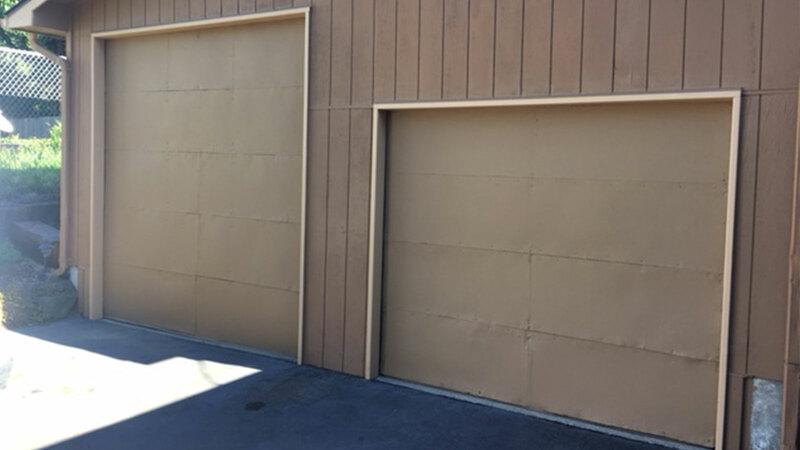 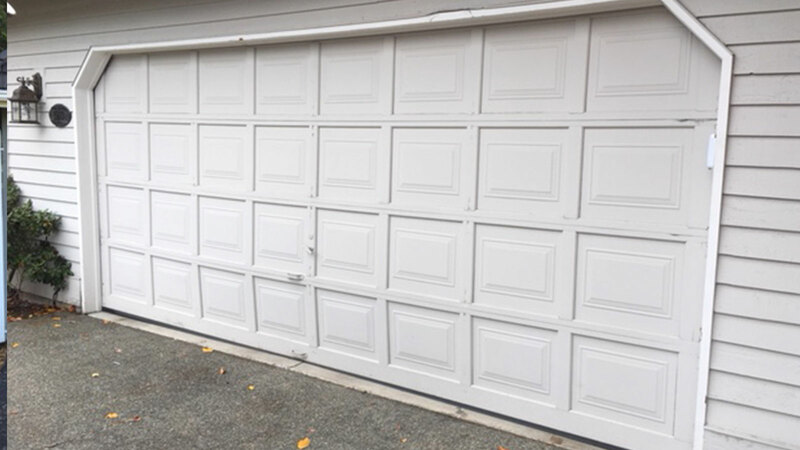 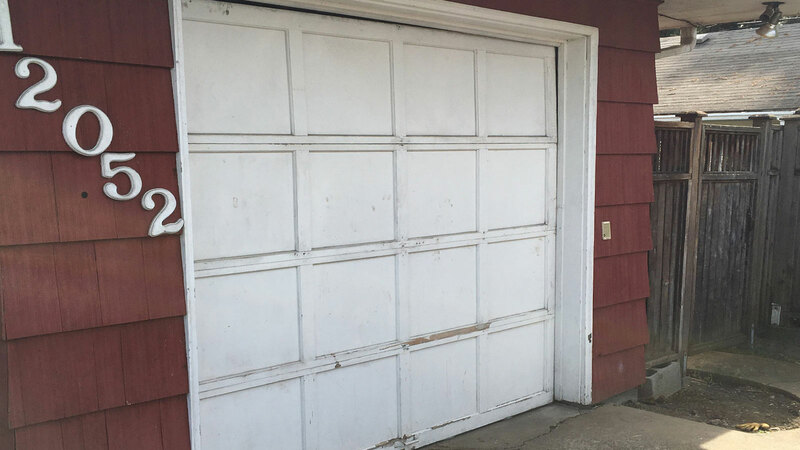 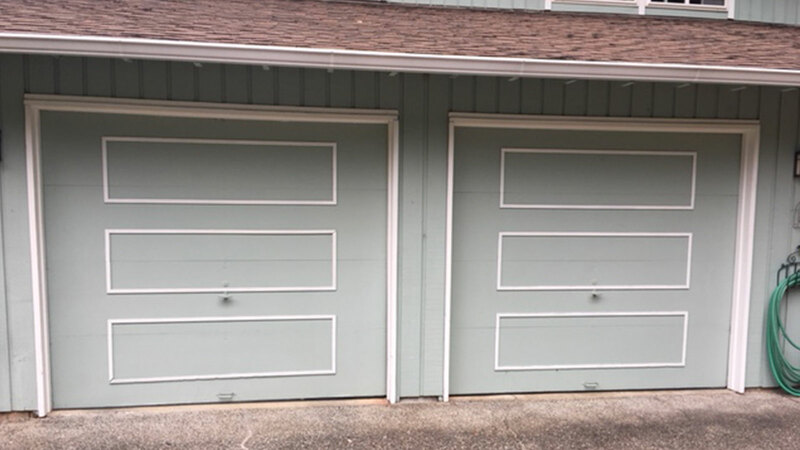 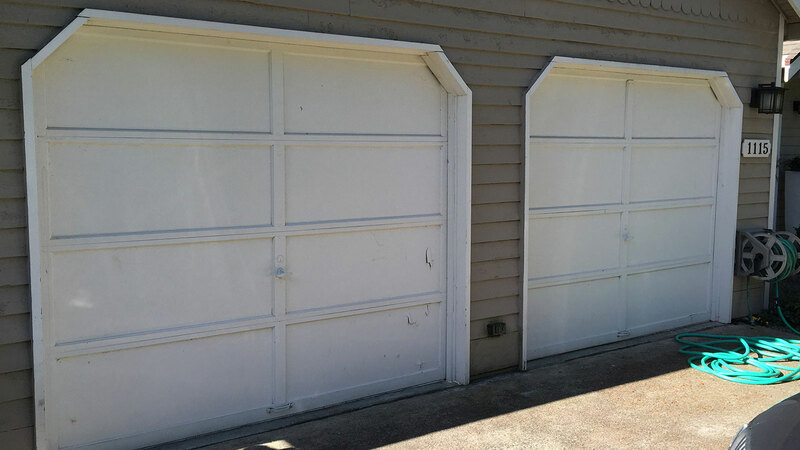 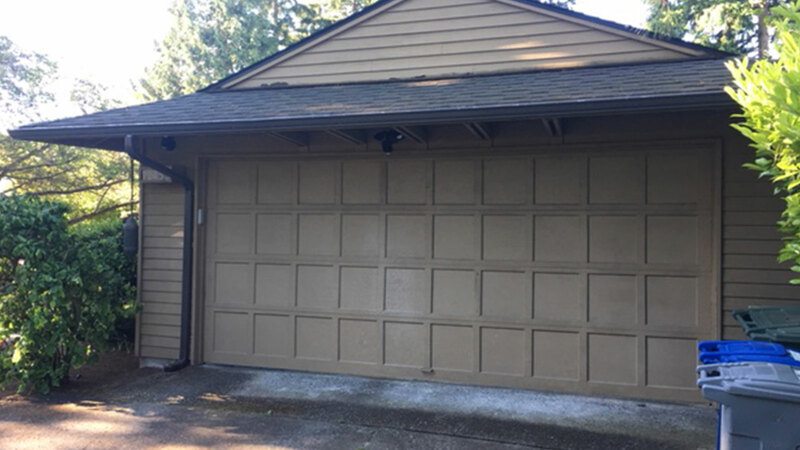 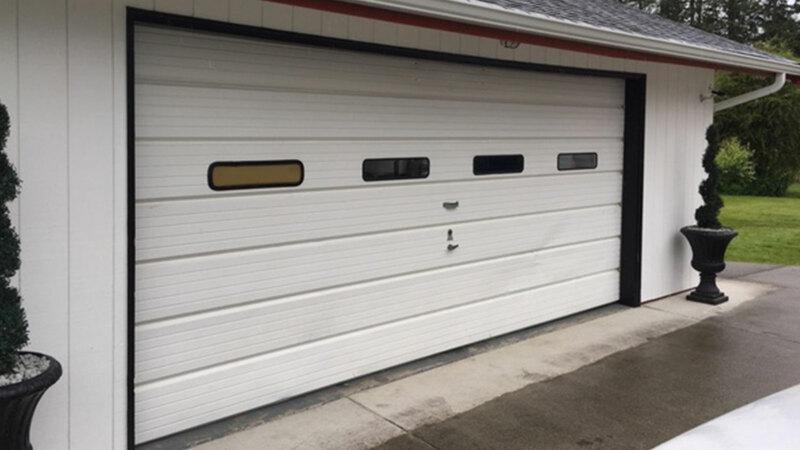 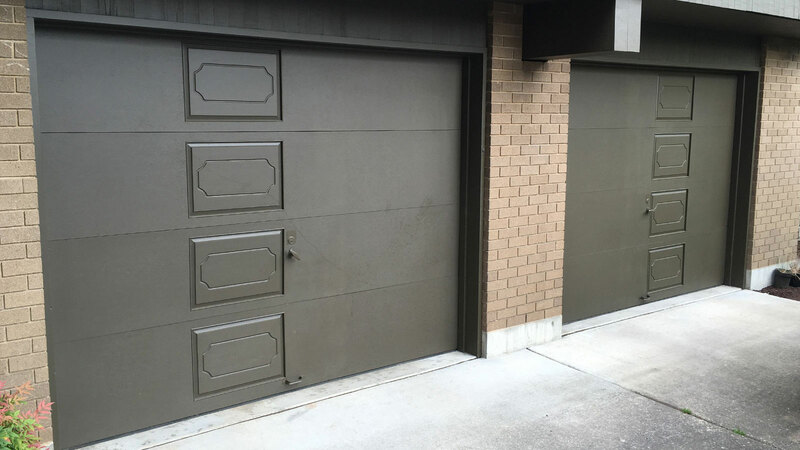 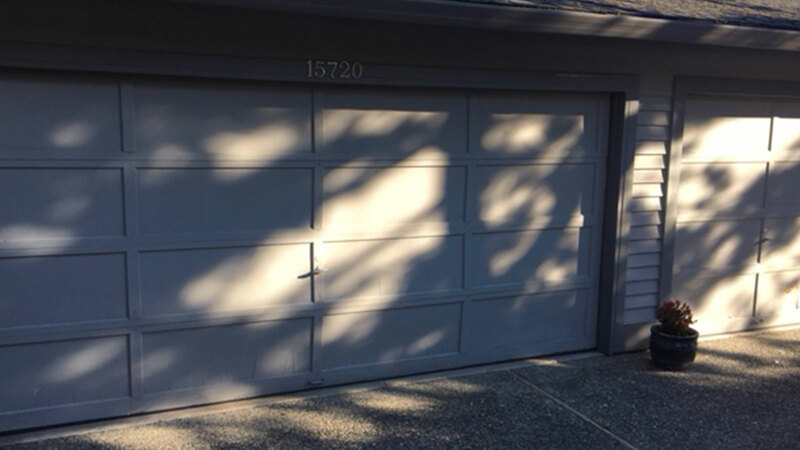 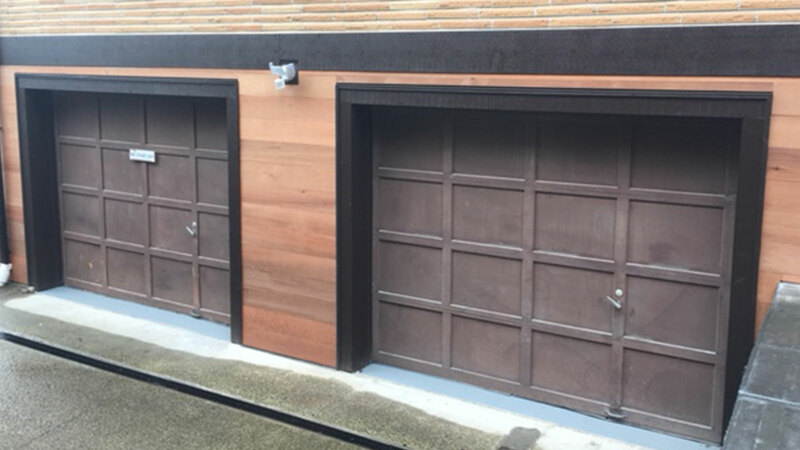 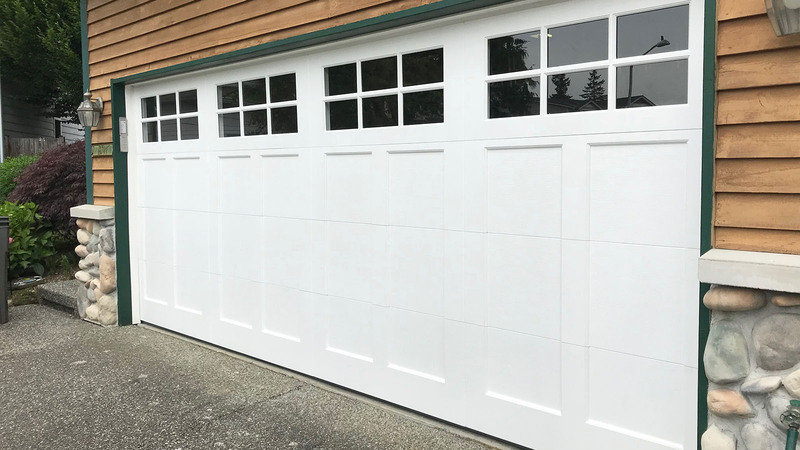 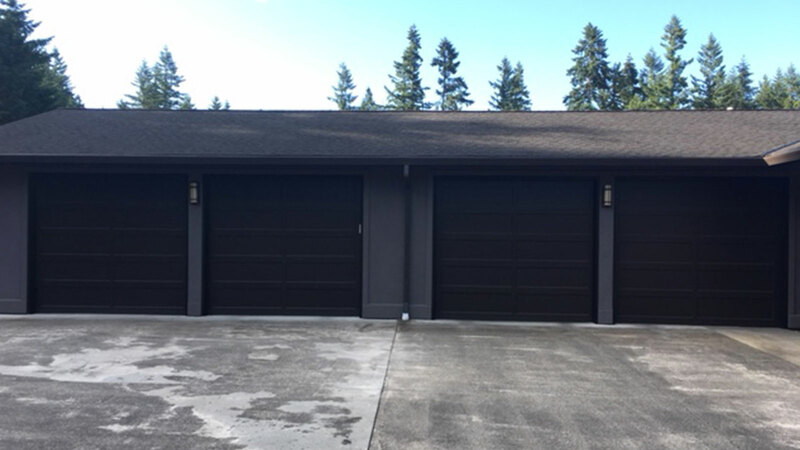 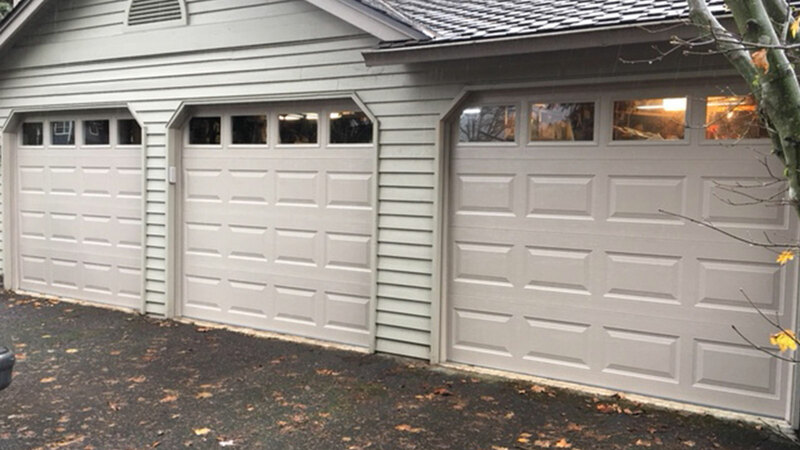 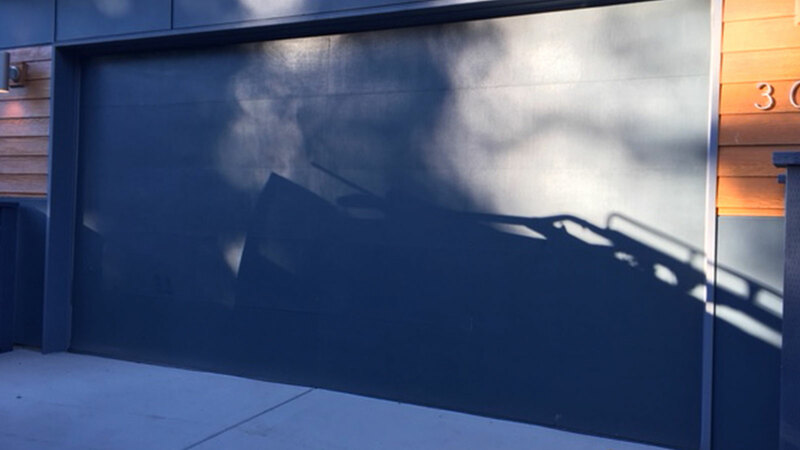 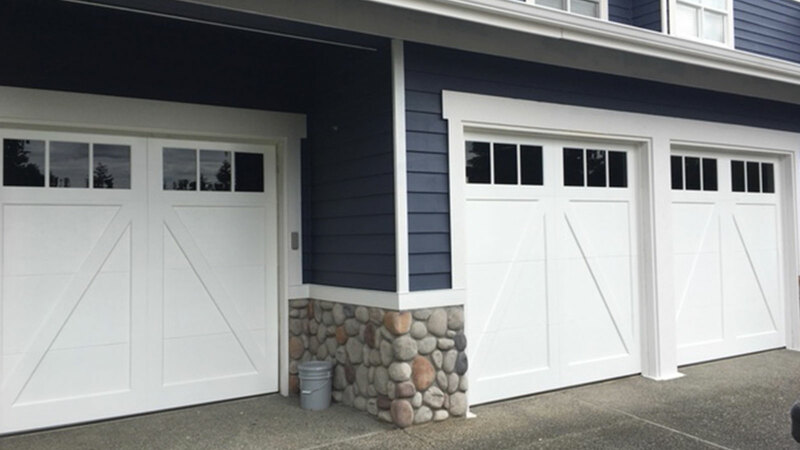 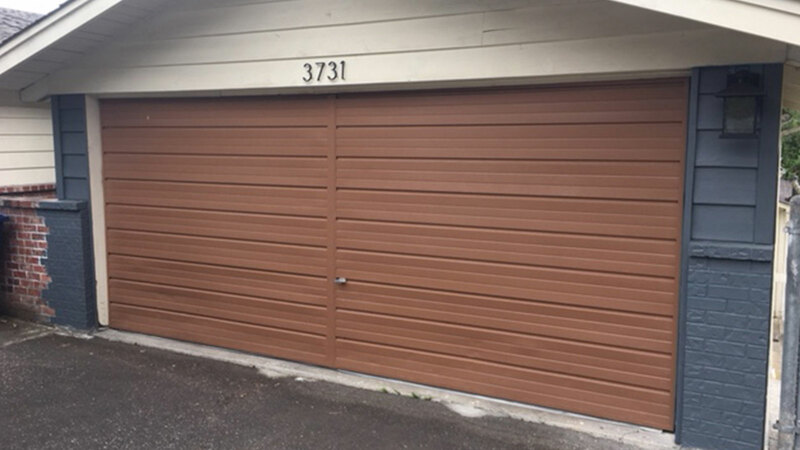 These before and after photos show the great transformation a new garage door can make, and come from projects all around the Seattle, Bellevue, Sammamish & Redmond areas. 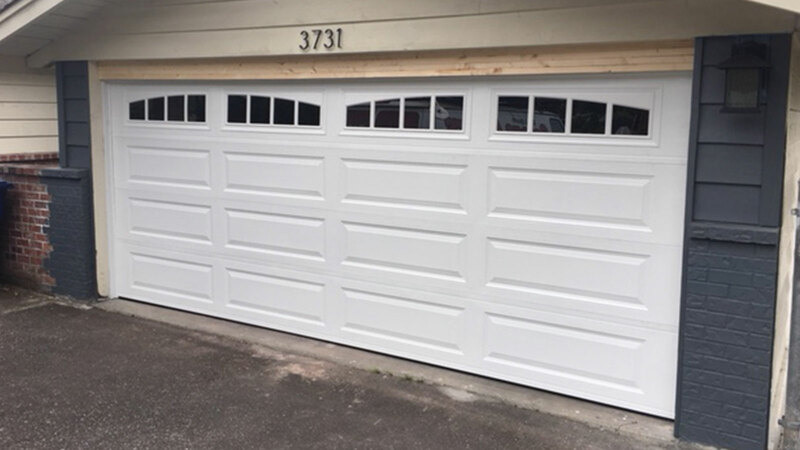 Contact us today for an estimate or emergency service! 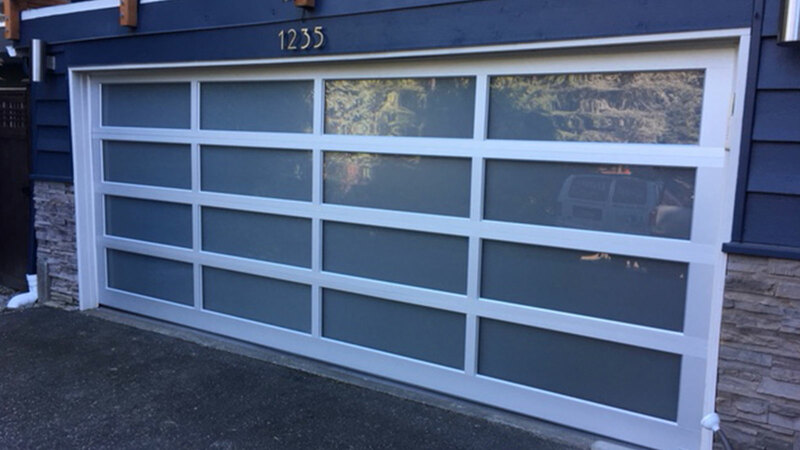 Northwest Modern Tech Model AFR with a Brushed Nickel Finish and White Laminate Glass. 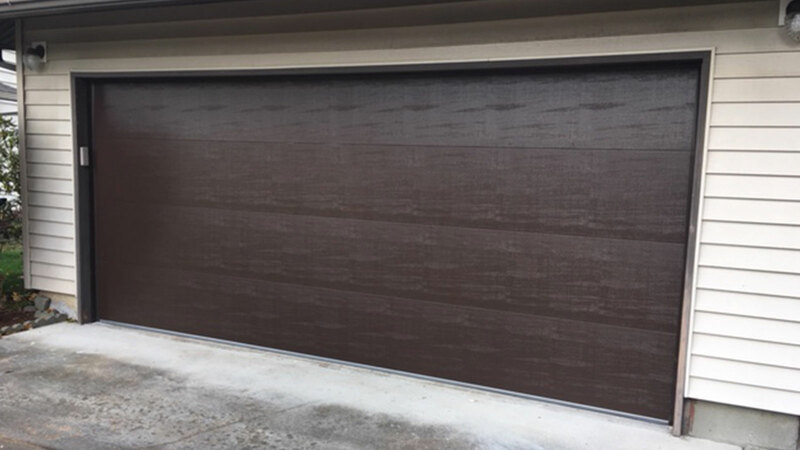 Northwest Modern Tech Model BFR with a Dark Bronze Finish and Satin Etched Glass. 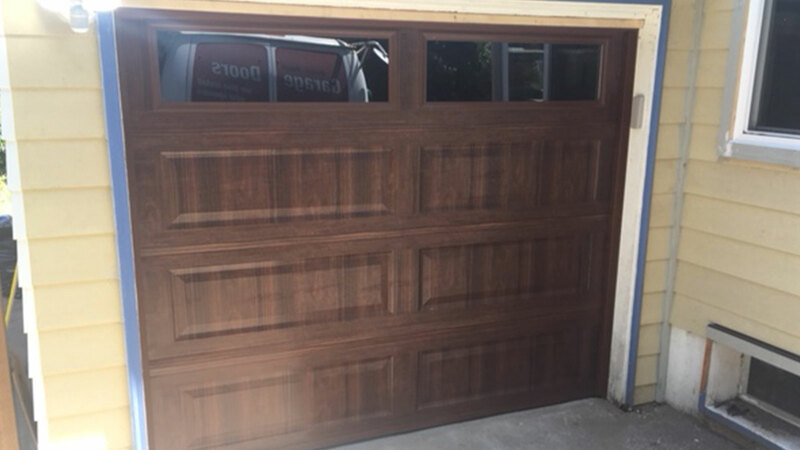 Amarr Stratford 3000 Flush Panel Dark Brown. 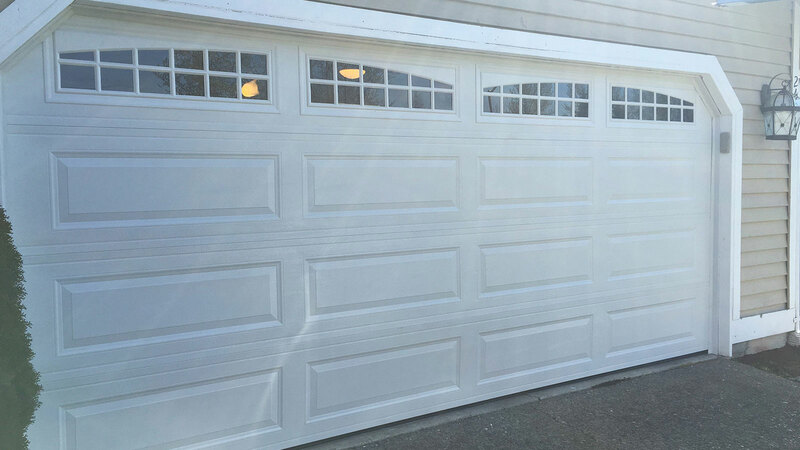 Amarr Heritage 3000 Long Panel Design with Sunray Window Inserts. 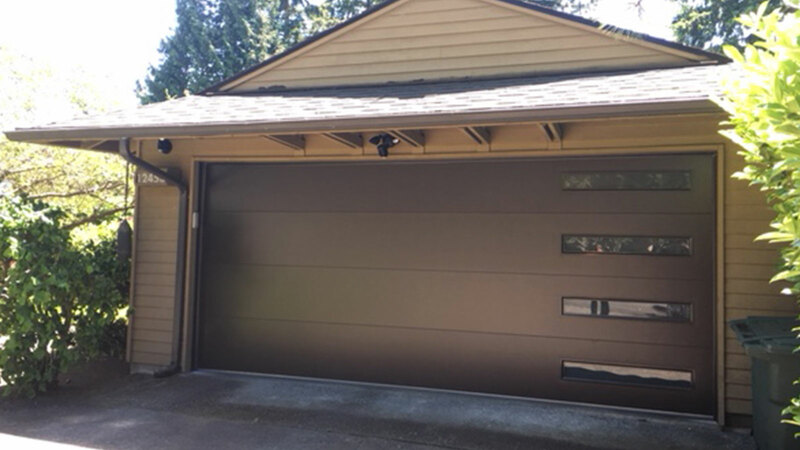 This door is a custom color from Sherwin Williams Color Zone. 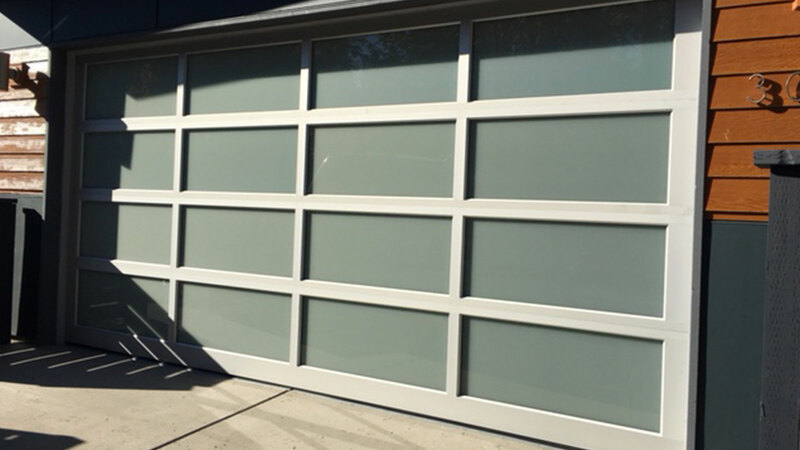 Amarr Stratford 3000 Short Panel Sandtone with clear windows.